• managing foreign exchange risk including their use by importers and exporters, non-deliverable forwards and how they are used for speculation, and currency options including the nature of call and put options and how they are used to hedge exchange rate exposure and option hedging strategies. Relevant exercises and a post-course assessment if required. André holds BCom Honours degree from UNISA and is a CAIB (SA) with the Institute of Bankers in SA. André is a Fellow of the South African Institute of Financial Markets and has served as a Governor on the board for over 17 years. He has extensive knowledge of banking, treasury and finance products. André worked in the treasury at Nedcor for 9 years, where he traded money and bond markets. While at Nedcor, he was instrumental in establishing the interest rate derivative trading desk. André worked at two major interdealer brokers as a Director responsible for Interest rate derivative broking. André worked at ABSA as Head of their agricultural derivatives trading desk in 1994. 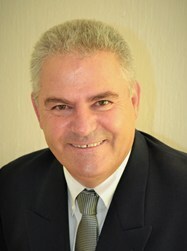 During his time at ABSA, André sat on the executive committee of the SA futures Exchange Agricultural Markets Division. André worked for the SA Futures Exchange for a year as Assistant General Manager responsible for interest rate product development. The ACI Financial Markets Association recognizes André as a training provider for both the ACI Dealing and Operations Certificate programs. André has been training for 16 years and is extensively traveled having facilitated workshops and training interventions for many of the large multinational financial institutions from introductory to advanced level in Singapore, Hong Kong, Dubai, Oman, KSA, Malaysia, China, Sri Lanka, India, Pakistan, Uganda, Malawi, Zimbabwe, Zambia, Namibia, Kenya, Nigeria, Ghana, and South Africa. He consults to a number of companies on treasury product implementation and hedging. André has conducted over 100 ACI Workshops internationally with an outstanding first time pass rate for both the ACI Dealing and Operations certificate. André authored a book titled “Introduction to Derivatives – A South African Perspective”. This workshop provides verifiable CPD points in terms of the Determination of Fit and Proper Requirements for Financial Services Providers, BN 194 of 2017, provided that the content is appropriate for your role within the company. A certificate of attendance will be issued that could be submitted to your company’s compliance officer. The number of verifiable CPD hours will be 13 hours. This workshop provides verifiable CPD points in terms of the CPD policy of SAIFM provided that the content is appropriate for your current or future role within the company. A certificate of attendance will be issued, which should be retained and submitted should you be selected for a SAIFM member CPD audit. The number of verifiable CPD hours will be 13 hours. Refreshments and a light lunch will be served. Kosher or Halaal dietary requirements will attract a surcharge. KINDLY NOTE: Closing date for bookings and receipt of payment is 2 August 2019. Disclaimer: Once SAIFM has confirmed that a workshop would carry on, cancellations will only happen in unforeseen, emergency situations such as the trainer becoming indisposed, protest action close to the venue, the venue being on fire or flooded. In such extreme cases, proof of the event that necessitated the cancellation, including a doctors’ note if the trainer is indisposed, will be provided to delegates to present to their employers. While every effort is made to ensure that confirmed workshops continue uninterrupted, it may happen in rare circumstances that we are obliged to cancel. In such a case, a full refund will be made but SAIFM cannot be held liable for the traveling and accommodation costs of delegates.